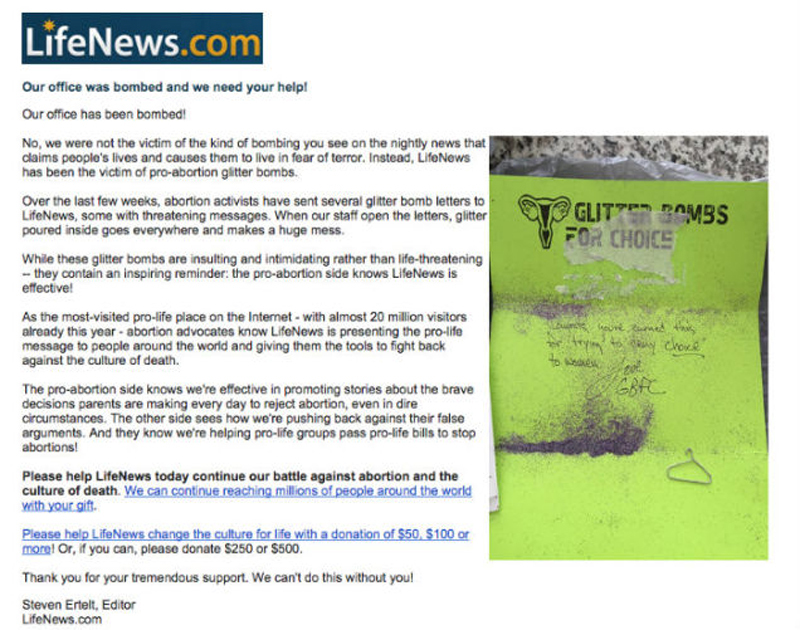 As if you needed any further proof that there are extremists on both side of the abortion issue, consider the recent heinous attack launched on the anti-abortion website "LifeNews," which was hit last week with a full-scale assault of glitter mailed in a letter. 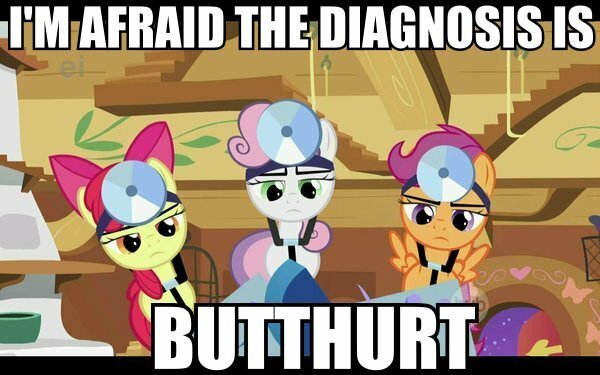 But it was threatening terrorist glitter, and proof that Both Sides Do It, although one side has been a bit more partial to firebombing clinics and shooting doctors, nurses, and receptionists dead. The reaction from LifeNews was swift: They sent out a fundraising email Saturday with the subject heading "URGENT! Our office was bombed, we need your help!" Over the last few weeks, abortion activists have sent several glitter bomb letters to LifeNews, some with threatening messages. When our staff open the letters, glitter poured inside goes everywhere and makes a huge mess. Oh, the humanity! At least Bill O'Reilly hasn't claimed that he witnessed the merciless bombing of the innocent activists. Yet. Glitter Bombs For Choice has also sent its Weapons of Mass Reflection to several other anti-choice groups, including Texas Right to Life, which complained that they were an attempt to "silence" the pro-life groups; Jezebel's Anna Merlan notes that this is a very real possibility: "Maybe if your vocal cords got filled with glitter dust? Seems unlikely, though." Oh, sure, laugh it up, but have you looked at the statistics on elementary teachers suffering from glitter lung? So as they say, both sides do it. And there's no sign that Glitter Bombs for Choice has any intention of stopping; they may even escalate to such potentially lethal weapons as streamers (potential strangulation hazards) and helium balloons, which are filled with a gas that humans cannot breathe without suffering comical vocal effects. It is not known whether Life News reported the attack to the Glitter Bomb Squad so that the letter could be safely disposed of. Yr Wonkette is also worried that this very report may prove traumatic to the group, which may well solicit additional financial support to help its employees recover from Post-Butthurt Pearl-Clutching Syndrome.